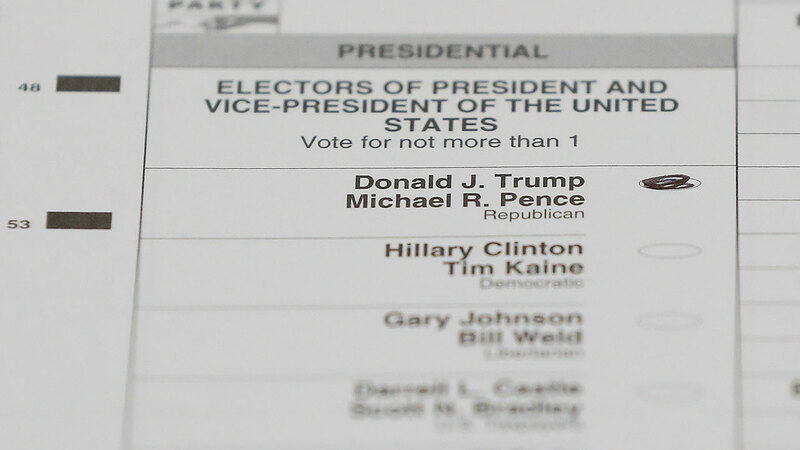 FILE - In this Dec. 5, 2016, file photo, a ballot with a vote for Donald J. Trump is shown during a statewide presidential election recount in Waterford Township, Mich.
Russian hackers attacked at least one U.S. voting software supplier days before last year's presidential election, according to a government intelligence report leaked Monday that suggests election-related hacking penetrated further into U.S. voting systems than previously known. The Associated Press could not confirm the authenticity of the May 5 NSA document, which The Intercept said it obtained anonymously. But also on Monday, the Justice Department announced it had charged a government contractor in Georgia with leaking a classified report containing "Top Secret level" information to an online news organization. The report the contractor allegedly leaked is dated May 5, the same date as the document The Intercept posted online.